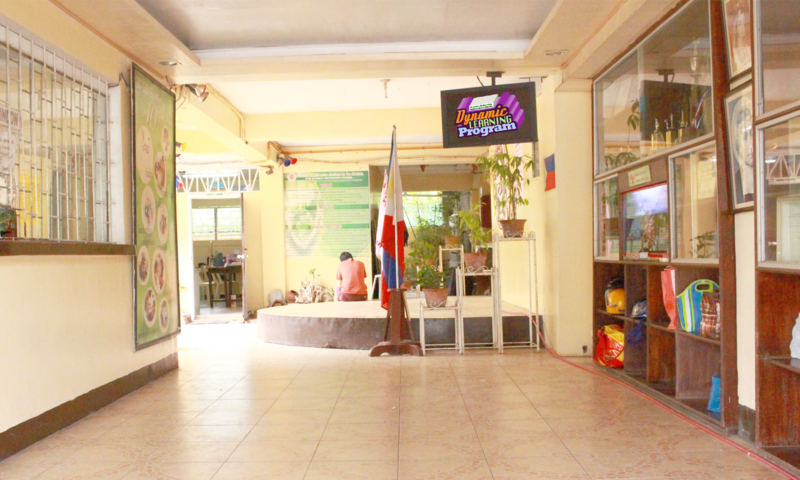 A private school in Dagupan City is attributing the improved performance of its students for the past year to the Dynamic Learning Program (DLP), a non-traditional framework of teaching that strengthens student competencies in science, technology, engineering and mathematics (STEM). Escuela de Nuestra Señora de la Salette (La Salette School) of Dagupan City started implementing the DLP in November 2013 from elementary to high school. Surveys conducted among the students, the parents, and members of the faculty showed positive feedback, including improved scholastic performance among its students. For grades 1 to 6, the average quarterly grade rose by 0.91 percent during the third quarter when the DLP was first implemented in the school. Meanwhile, the average quarterly grade of high school students rose by 2.88 percent in the 3rd quarter compared to the average grade that was recorded during the previous grading period when the traditional framework of teaching was implemented. DLP was developed by Ramon Magsaysay Awardees and physicists, Dr. Chris Bernido and Dr. M. Victoria Carpio-Bernido to improve the performance of the students of Central Visayan Institute Foundation (CVIF-DLP), a family-owned school in Jagna, Bohol. The teaching framework has been gaining popularity among schools for its parallel learning groups, activity-based multi-domain learning, in-school comprehensive student portfolio, and strategic study and rest periods. DLP has a strong program for building STEM skills among students. Smart Communications, Inc. (Smart) and the PLDT-Smart Foundation (PSF) have been helping the Bernidos propagate the innovative teaching framework to more schools in the country. “More than just improved academic performance among our students, we have also seen significant reduction in disciplinary cases and absenteeism as a result of the CVIF-DLP implementation in our school. It has also reinforced the values of responsibility, hard work, and independent learning among our students and gave them more time to bond with their families,” said Rex Lor, vice president for academics and development of La Salette. The other key findings of the surveys showed that CVIF-DLP translated to less stress on the students because of the strategic study and rest periods, fewer expert teachers needed because of the parallel learning scheme, lower operational costs for the school, and lower expense for the parents because there is no need to buy textbooks unlike in traditional modes of teaching. “The CVIF-DLP has proven time and again that it works. It helps democratize access to quality education, particularly for the STEM (science, technology, engineering and math) discipline whether a student is in a private school or a public school,” said Ramon R. Isberto, head of Public Affairs at Smart. “In supporting the CVIF-DLP, we want to help develop students that are ready to take on the world given the increasing globalization of the marketplace,” said Esther Santos, president of PSF. Smart has been supporting initiatives that help enhance Philippine education, and at the same time, equalize access to quality education regardless of a student’s socio-economic background.